If you bought a timeshare in a moment of vacation bliss, you probably are looking for a way to get out of it. One way is by doing a timeshare cancellation. With a low timeshare exit team cost and a satisfaction guarantee, a cancellation might be your best bet when it comes to figuring out how to get rid of a timeshare. If you bought a timeshare in a moment of vacation weakness, you are in good company. In fact, nearly 7% of all American households have a membership in a vacation club. Vacation club is the trendy new name timeshares go by these days because the word timeshare is too closely associated with scams. Regardless of the name, though, a vacation club is simply a timeshare with a different name, and the issues with them are the same. Firstly, timeshare sales tactics are overly pushy and designed to pull the wool over your eyes. They hit you when your guard is down. Either while you are on vacation or in the evening when you are relaxing from a long day at work. They chat you up with a series of seemingly innocent questions. However, these questions are designed to determine how likely you are to buy a timeshare. According to our customers when our timeshare exit team talks with timeshare owners, once the salesman has determined that you would be somewhat likely to buy a timeshare, they start offering your free stuff. Trips, dinner, a show, so many promises and incentives. All you have to do in return is attend their short presentation. Never one to say no to free, you agree. At the presentation, they pull out all the stops. Extra freebies, a life of luxury, complimentary drinks. Never in a million years do you think that you’ll have to know how to get rid of at timeshare. You were convinced that your timeshare was a fantastic purchase and you fulling bought into the idea that you would be able to save a ton of money on vacation accommodations. But when you get home, you find out this simply is not true. For a variety of reasons, you may not be able to use your timeshare every year. Maybe you don’t have the vacation time at work, or perhaps something in your personal life makes travel difficult or impossible. Even worse, maybe your timeshare is completely inflexible and you can’t get reservations at resorts you actually want to stay at. Or, worst yet, maybe you fell for a timeshare scam and are paying money every month for something you can’t use. If you are in this situation, you need to take advantage of our low timeshare exit team cost and get rid of your timeshare with a timeshare cancellation. Even when you are outside of your rescission period by months or in some cases even years, we can help you get rid of your timeshare. Our team of experts knows how to get rid of a timeshare. When we get you a timeshare cancellation, we start by reviewing your timeshare contract to decide the best way to get rid of your timeshare. 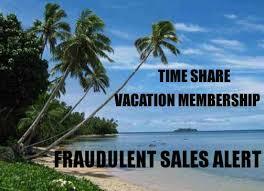 Of the millions of timeshare contracts that are sold, no two are the same, and neither are any two cancellations. From here, our timeshare exit team cost is outlined in detail for you. We tell you exactly what you can expect from us and give you our fee structure. We don’t want there to be any surprises, and we want you to understand any fees you are charged. We know that the timeshare business is full of scams and we want you to rest easy knowing that we are the real deal. At this point, we will begin working on your timeshare cancellation. We get into contact with the timeshare resort for you so that you don’t have to waste any more of your time on the phone with them. We work tirelessly to get you the timeshare cancellation that you need. We will get you the resort authorized cancellation letter that you need to get rid of your timeshare. In some cases, we can even help you get some of your money back. For some clients, our timeshare exit team has even been able to help recover their down payment. This isn’t a timeshare resale scam, and it isn’t too good to be true. Our timeshare exit team cost is reasonable and certainly less expensive than keeping a timeshare you don’t use. We are here for you, and our goal is your satisfaction. In fact, we even offer a money back satisfaction guarantee on our timeshare cancellation services. Call us today to get rid of your timeshare and get your life back!